If You Are Serious About a Healthy Future, We Need You Today! You cannot find a bigger rock star for the future health of consumers and the environment, than Lindsay Dahl. Lindsay is Deputy Campaign Director for Safer Chemicals, Healthy Families in Washington, D.C.. I have been lucky enough to work with her and have grown to admire her intelligence and tenacity to make positive change for a healthy future. 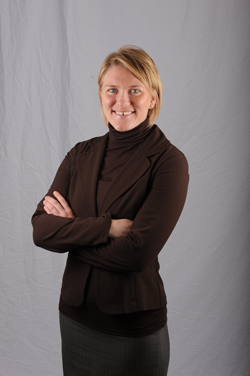 Before joining the campaign, Lindsay directed policy and media strategy for the Healthy Legacy Coalition of Minnesota. She led the campaign for Minnesota to become the first state to ban bisphenol-A (BPA) and the fourth state to pass the beginnings of a comprehensive safer chemical policy framework. I tell you about Lindsay because I want you to know that the people who are in this fight with us are committed and will help us create the healthy future we want, deserve and need, but they need our help. Please take a look below at the message from Lindsay. Then take just 5 minutes of your day to work with her, and me, and people just like us from all over America to pass the much needed Safe Chemicals Act. Time is running out for the Safe Chemicals Act to make it to the Senate floor this fall and we need your help. Will you ask public health champion Senate Majority Leader Harry Reid to bring the bill to the floor this fall? Are you on Twitter? Senator Reid is too! Click here to send this tweet now. You can call the Senator's DC office at 202-224-3542. If you are in Reid's district and are calling from a 775 or 702 area code, call 1-866-SEN-REID (736-7343). Thank you for your continued dedication to protecting public health and the environment. I urge you to bring the Safe Chemicals Act (S. 847) to the floor this fall. I am concerned about the routine exposures American families have to toxic chemicals everyday. Due to our lax federal laws, we are not adequately protected from toxic chemicals in our homes, drinking water and consumer products. Millions of Americans are concerned about this important issue and I encourage you to take up this important bill as soon as possible. Thanks again for your continued commitment to this important topic.